Lady Gaga’s Little Monsters social network launches! 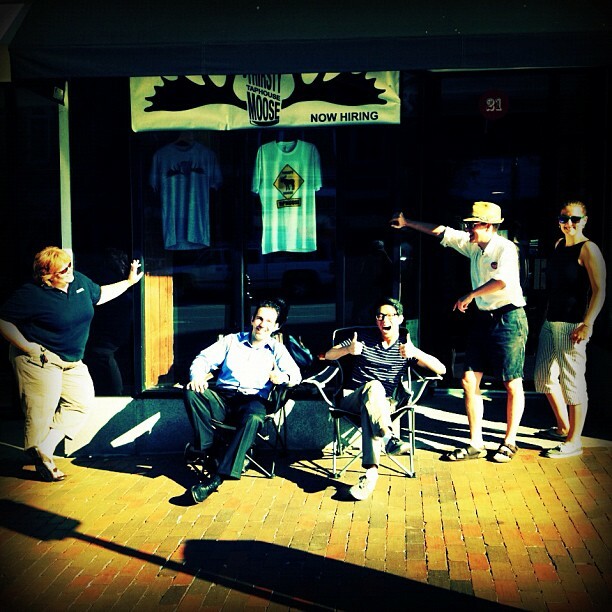 @derbsworld @walterelly @dougridley @MyFriendDan @LainieH33 camp out in front of @ThirstyMooseTap! not pictured due to extreme tardiness: @laughtercrystal, who is working on finding an alarm clock that displays the day of the week… comment here or tweet with links, please. PS- his name, was Robert Pau^H^H^H actually Brendan.